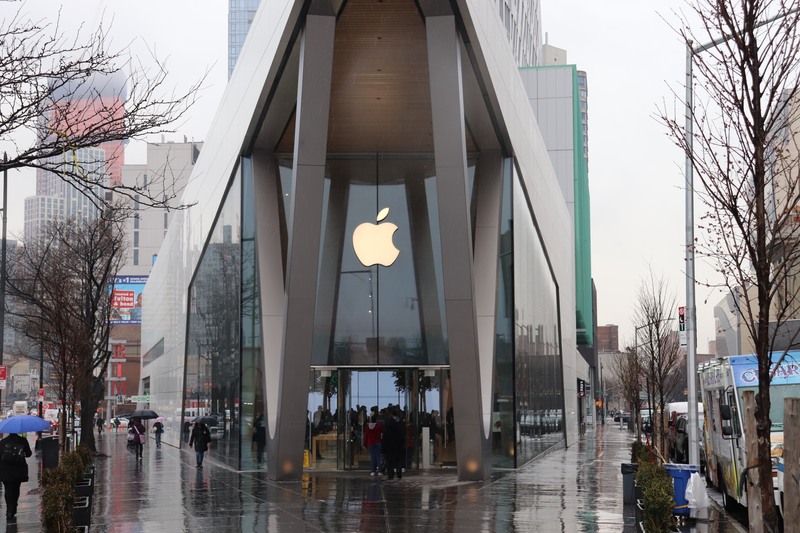 Apple Downtown Brooklyn. Credit: Jonathan Wilson. Consumers have had enough of tech companies like apple, google and amazon having more power than they should, including using our private information as profits. Just a little over two years ago, many believe, Russia used Facebook to help take control the 2016 Presidential election. Some people are more than fed up. They may in fact decide to support a presidential candidate – um, perhaps like Mass. Senator Elizabeth Warren – who makes a commitment to go after the tech companies and make their share their off-the-chart profits. Democratic presidential candidate Warren has seen the writing on the wall – or in the tweets – and she has come out and said she will try to break up large tech companies like Amazon, Google and Facebook. Apple, too, of course, is part of Big Tech. Warren argues that these companies have abused their power. In taking her get-back-tech- position, she is channeling those who believe big tech companies have too much power over the economy, over our society and over our democracy. Give the small companies a chance, they say. 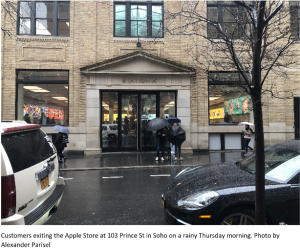 For many Americans, and many New Yorkers, Apple is the tech giant that critics would like to bite – bite so that it shouts ouch. n Wilson with a byline here) visited the Apple store to see how Apple consumers felt about Apple products. 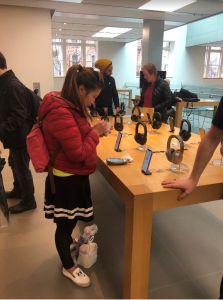 As he began to ask questions of the customers, he was kicked out by an employee and was told he should go outside if he wanted to question people. So he did just that. He learned that while presidential candidate Warren and countless other Americans have strong concerns about Apple and other companies, Apple does in fact try to offer personal services to those who like i’s with their phones. He spoke with Kat Lopez, an illustrator with the Fashion Institute of Technology. She got her first iPhone in 2010. Lopez said believes no company is perfect. “I believe every company has their flaws I can’t think of one that’s flawless,” Lopez said.